Treatment for vocal cord injuries. Vocal cord injury could occur at any given time and affect anybody, regardless if they are a professional speaker or professional singer. A regular person, while speaking does not always realize that they are using their voice excessively loud and sometimes forcing their voice to the max in order to make a point. This type of voice misuse could very easily lead to the injury of their vocal cords and vocal anatomy overa. If, on top of everything else, in the environment where the person is residing or otherwise being around other unhealthy surroundings, the voice problem will be even more prone to happen. As for singers, they should follow the same guidelines, (i.e., not to scream and not to force their voice to the max while speaking and/or singing). They should learn a proper vocal technique, which will allow them to use their voice in the fullest capacity possible, but yet with no pain or strain on their vocal anatomy. Adapting the above-described technique will not only prevent a singer’s voice from succumbing to vocal cord Injury, but will enhance their vocal performance to its maximum capacity and quality. Our Treatment is Natural, Holistic and Alternative! How do we treat injured vocal cords? 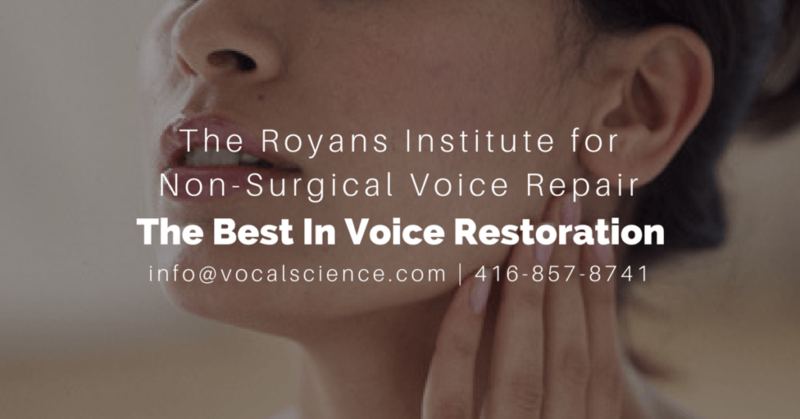 Our unique and revolutionary Non-surgical Voice Repair program will not only help to repair your voice and your vocal box from the dangers of vocal cord injury, but it will also teach you how to use your voice correctly and according to the standards of professional speaking/singing. You will learn how to restructure your voice into your facial muscles – which will minimize the pressure of the soun on your vocal cords and your vocal box. By treating the cause and not only the symptoms of your voice/vocal problems, vocal issues and injuries will never be a problem again… and we guarantee it! Through the application of natural herbs and homeopathic remedies, the symptoms that are associated with vocal cord injury will also be eliminated. Furthermore, once you’ve learned how to use your voice properly (proper technique and the right application of your voice), you will no longer cause damage to your vocal cords. 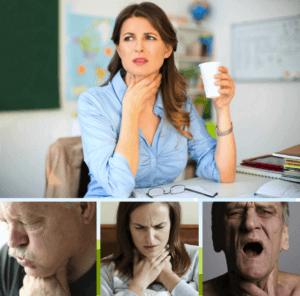 For more information about other common and uncommon throat, voice & vocal problems and how we can treat them, Contact Us.